Kevlar gloves are constructed from Kevlar fiber- an incredibly dynamic material. It is a rugged & lightweight fiber that is flame, heat and cut resistant. Gloves constructed from Kevlar are suitable for a range of demanding, high-performance professional activities, from police & tactical work, to recreational activities like motorcycle riding or oyster shucking. 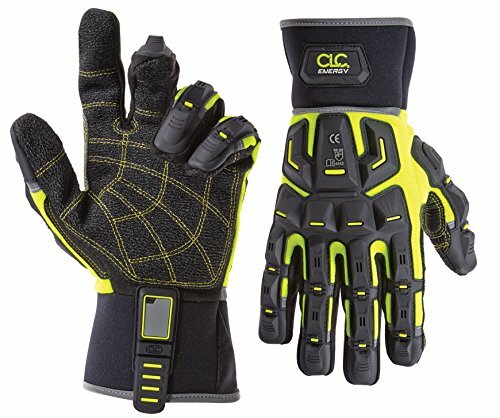 These cut resistant gloves help to protect against finger & hand and injuries while on the job. If you are looking for a rugged, tactical Kevlar glove, we recommend the Custom Leathercraft Extreme glove, but if you are looking for a cheaper option more suitable to kitchen work, we would recommend the WISLIFE Kevlar Glove. Check out our comparison table below and scroll down further to read our reviews of each option. This full-palm Armortex Kevlar glove features a two-way spandex top material and a Thermoplastic Rubber (TPR) strip from the fingertip to the back of the glove, giving both the back of your hand and palm ample amounts of insulation and protection. Also, it uses 10-mm thick knuckle and 7-mm thick TPRs on the thumbs and fingers and 0.8-mm synthetic leather base designed for complete dorsal impact protection. The HWI Kevlar glove is a cut-resistant option that is made from 100% aniline goatskin leather, offering a great feel as well as strong abrasion resistance. Designed to have a contour-cut for natural fit, Kevlar liner for cut protection, and hook and loop closure to keep it secure. It combines a classic look with a modern & functional design, allowing for strong versatility of use. 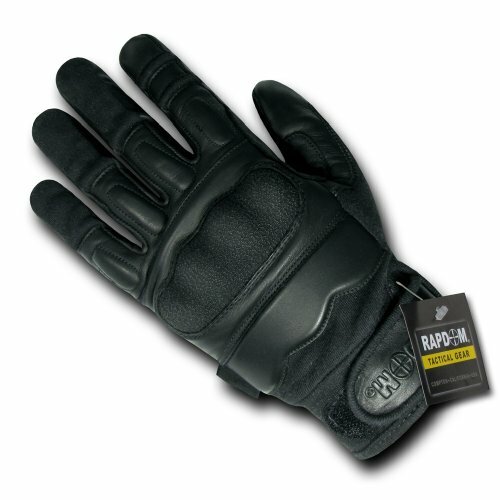 These Rapdom Kevlar gloves are designed to give you strong protection against sharp weapons. In addition they are flame, impact & cut resistant. They use 100% cut-resistant Honeywell Spectra liner with its back part made from the combination of durable cowhide leather and Kevlar for flash and flame redundancy. Aside from that, it also features a Kevlar covered injection molded plastic for the knuckles and rubber paddings for the palm and fingers for added protection. The WISLIFE Kevlar glove is made of Dyneema, a material that is four times stronger than leather and resistant to scrapes and cuts. It is food safe as it has a layer of anti-bacterial protection and is ideal for shucking oysters or cutting with knives in the kitchen. It can also be used when working with other types of sharp blades and objects around the house. Made from 100% DuPont Kevlar, it is one of the cheaper pairs of Kevlar gloves that provide adequate hands & finger protection from abrasions, cuts and slashes during work. Its textured latex-coated palm, thumb and fingertips, makes it pretty easy to grip objects. It is ideal for someone constantly handling glass materials and doing cutting work. One reviewer writes that to break in his pair of tactical Kevlar gloves that he soaked them for a few hours in water and then wore them to bed at night and he now reports that they are an excellent fit. Another reviewer who is a passenger train operator ended up buying a pair of HWI Kevlar gloves because he was sick of using cheap alternatives. He also writes that they give off an intimidating vibe which is useful for when dealing mentally unstable homeless people on his train line. A dog walker writes the HWI Kevlar glove is great for preventing rope burn when his pet lunges on the leash. 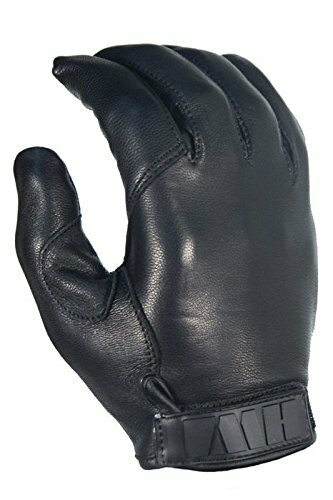 A retired police officer also comments that the HWI gloves are suitable replacements for his police-issued tactical gloves and are great alternatives to traditional motorcycle riding gloves. The primary issue that Kevlar gloves purchasers complain about the most would be getting the sizing right. The best thing to do is to read through the comments section on the Amazon product page for the gloves you are looking to purchase and see what other users have said about sizing issues. Another confusion that some people have prior to purchase concerns whether the entire glove is made from Kevlar or not. Usually only certain parts of the glove are Kevlar while the tactical gloves that we have reserved above contain Spectra Shield lining. Many users also enjoy the knuckle guards that the Rapdom tactical attacker Kevlar gloves feature which helps protect the hands during self-defense and other high impact performance situations. 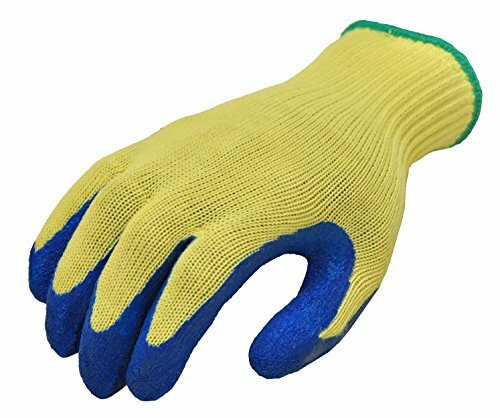 A Rapdom purchaser who works with saws and grinders all day endorses these gloves as essential for protecting him and his fingers from getting cut. 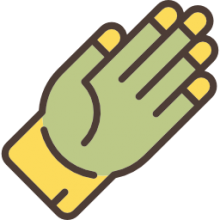 If you are looking to purchase a pair of Kevlar gloves, read the reviews on this page to get a sense of what's available on the market. Because of some sizing issues that occur when selecting a glove it's important to do your research. 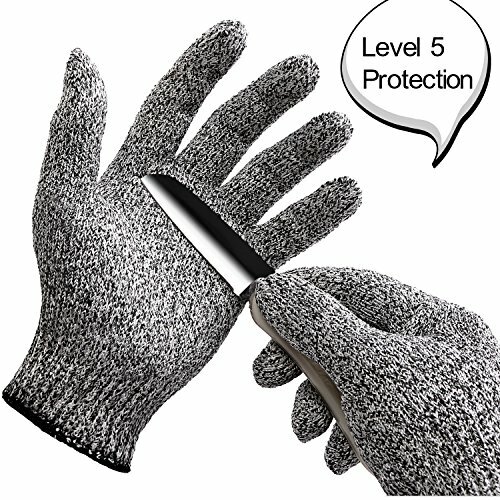 A good way of guarding against selecting an improperly fitting glove to take some initial measurements and head over to the product page on Amazon to see what other users say about fit. Another benefit of going through the retailer like Amazon is that returns are pretty simple and free shipping is usually available for whatever product you're looking to buy. It's also important to note that Kevlar gloves will not protect you against all injuries, but they are an added layer of security if you are working in a potentially dangerous environment or just have recreational need for a pair of rugged and cut-resistant gloves.